We?re excited to be launching our Mobility Advocacy Plan: a community-based vision and action plan to achieve shared mobility objectives for the Strathcona area. With grant support from the Real Estate Foundation of BC, this project explored a range of transportation and mobility issues and solutions. This included goods movement, transit, curbside uses, active transportation, car and bike sharing opportunities and parking. 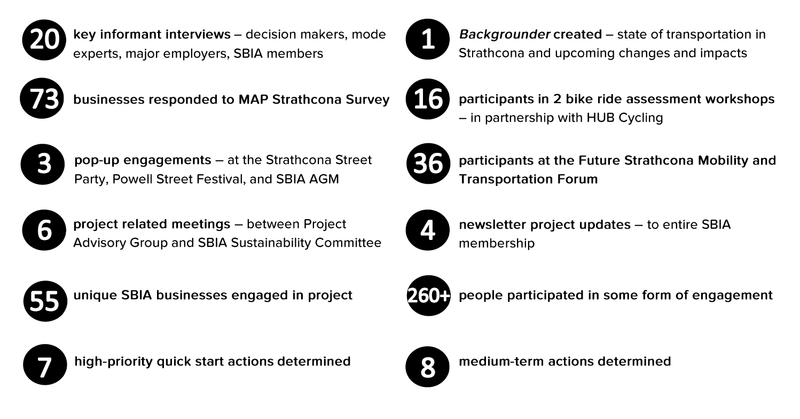 We’ve worked hard to ensure MAP Strathcona reflects the needs and wishes of our business members and community. We recognized that our advocacy plan was more likely to be successful if our actions aligned with existing plans for the neighbourhood, if we could demonstrate community and member support for actions, and build a network of relationships with implementing partners. These aims are reflected in the engagement process we undertook. Some of the key successes of this project are the strengthened relationships with a number of decision makers in the transportation realm. Stakeholders valued that we were bringing business perspectives to the table. These relationships and partnerships will be important in the implementation phases of the plan. We think the final plan will be a valuable tool moving forward to help initiate new partnerships and influence mobility improvements and investments in our neighbourhood. Want more details on the actions in the Mobility Advocacy Plan? Head to the project program page. 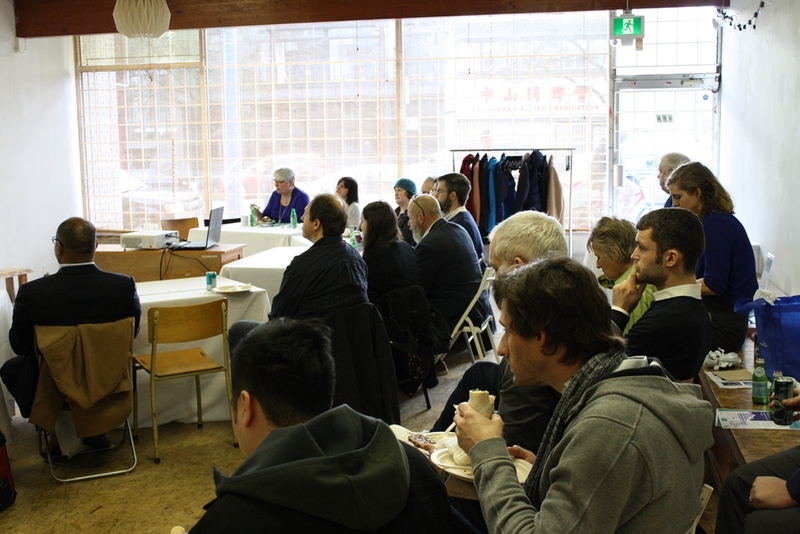 On February 8th we held a MAP Strathcona Launch event and information session for members. We had 22 people in attendance. Members were given a project overview and then learned about the quick-start actions in our Mobility Advocacy Plan. Three speakers presented at the launch event on mobility topics where we see momentum for change and improvement. Chris Darwent from the City of Vancouver introduced the no time-limit metered parking pilot coming to Strathcona in March 2018. Find out all the details in a separate post here. 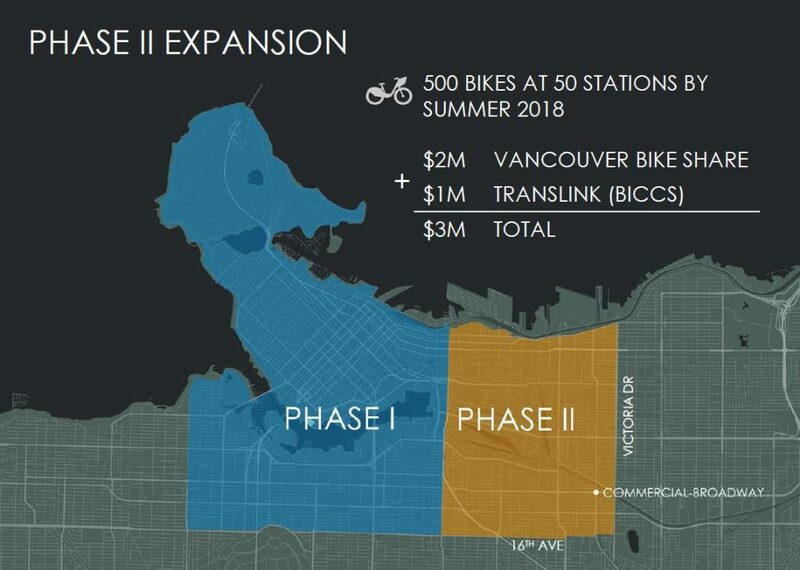 Matej Mecar from Mobi Bike Share and Scott Edwards from the Public Bike Share department at the City of Vancouver provided updates on the eastward expansion of Mobi Bikes, which will include the Strathcona neighbourhood. We are excited about this additional mobility option for people to get to and around Strathcona. 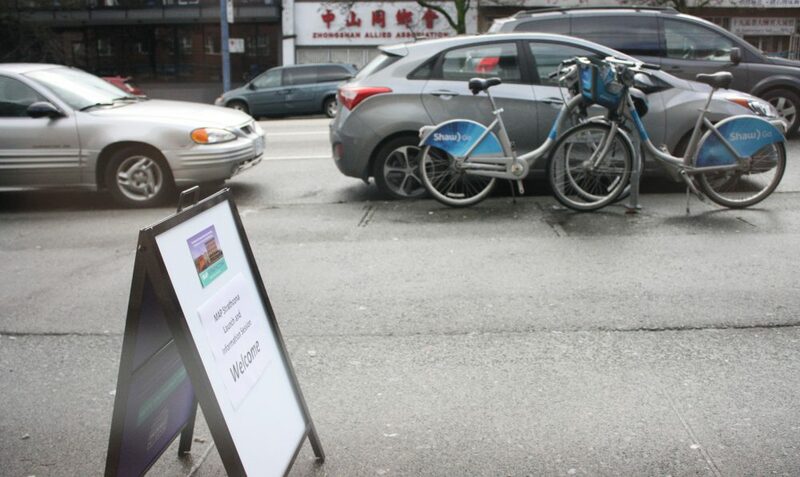 Mobi stations in Strathcona support our MAP objectives of improving employee transportation options as well as improving active transportation facilities and connections in the neighbourhood. The ideal density of stations is 200-300 meters apart or about 10 stations per square kilometer. An engagement team conducts outreach to adjacent properties and businesses before a station is installed. The minimum footprint for a station is about 12 meters long, typically about 2-3 parking spaces with 15-20 bikes per station. Private property stations are desirable – if you have a suggestion for a private property station, Mobi wants to be in touch with you! Mobi membership options are varied. The standard annual pass allows for unlimited 30 minute rides. Corporate memberships are available. A pilot equity program for low-income residents is going to be launched in the next few months. Our third speaker was JoAnn Woodhall from TransLink’s TravelSmart program. TravelSmart for Business works with organizations interested in reducing single occupant vehicles driven to their workplace. The TravelSmart team can help you review, evaluate, and help improve current travel options for your employees, clients, and customers. Our first MAP quick start action, the Roll Out Green Commuting Program, will involve developing a coordinated program to link our business members with existing groups like TravelSmart to support more sustainable commuting choices and reduce employee parking needs. A business can also reach out to TravelSmart at anytime to access the free and customizable resources they provide. Several members connected with JoAnn after her presentation to inquire about follow-up programming at their businesses. 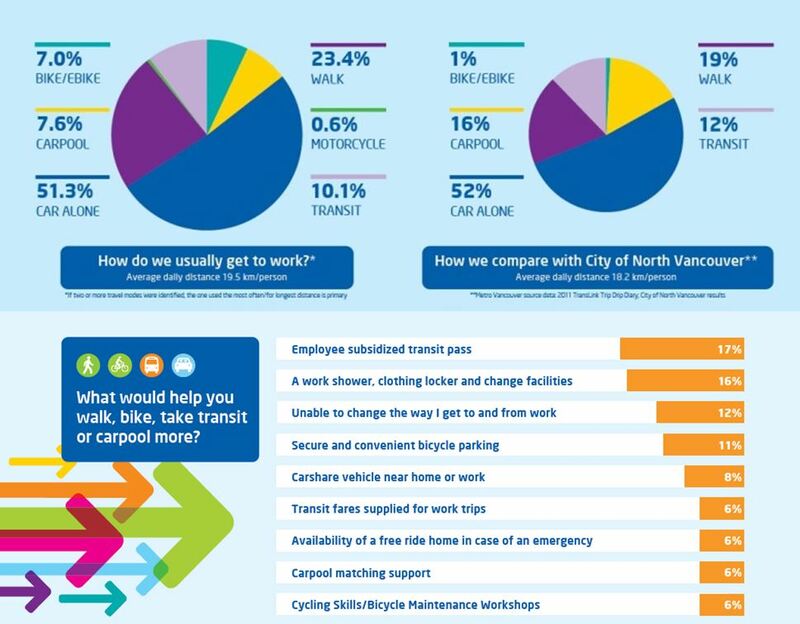 Interested in TravelSmart resources to help improve commuting options for your employees? You can contact a TravelSmart for Business Specialist at travelsmart@translink.ca.